Performances at the Bothwell Arts Center have included Sycamore Strings Academy, Livermore Opera, Livermore Amador Symphony, JazzLabb and many others. The Bothwell is home to regular visual and performing arts teachers and students, and ongoing dance programs. The Bothwell Arts Center has been an arts incubator, offering affordable and rentable classroom, rehearsal, performance, event, and studio rental space for artists, musicians, theatrical, acting, choral, and other individuals, groups or events with a cultural arts focus. The Bothwell sponsors an array of community arts activities including ArtWalk, Art on the Green, Tree Sweater Forest, New Orleans Bash at the Bothwell and Night of the Livermore Dead Zombie Pub Crawl. The Bothwell Arts Center sponsors the Tree Sweater Forest that comes to Downtown Livermore in the fall. The warm and cozy trees on First Street between Maple and L Street bring seasonal charm to downtown from September through November. Area knitters and crocheters work to create this fun and whimsical fiber art installation. After the installation, the tree sweaters were donated to Valley Humane Society of Pleasanton as comfort blankets. The Bothwell Arts Center sponsors the annual Livermore zombie pub crawl! The plague starts at the Downtown Art Studios, 62 So. L Street, Livermore, where average citizens are transformed into hideous zombies, given glow-in-the-dark Zombie Pub Crawl mugs and turned loose in Livermore’s Downtown. 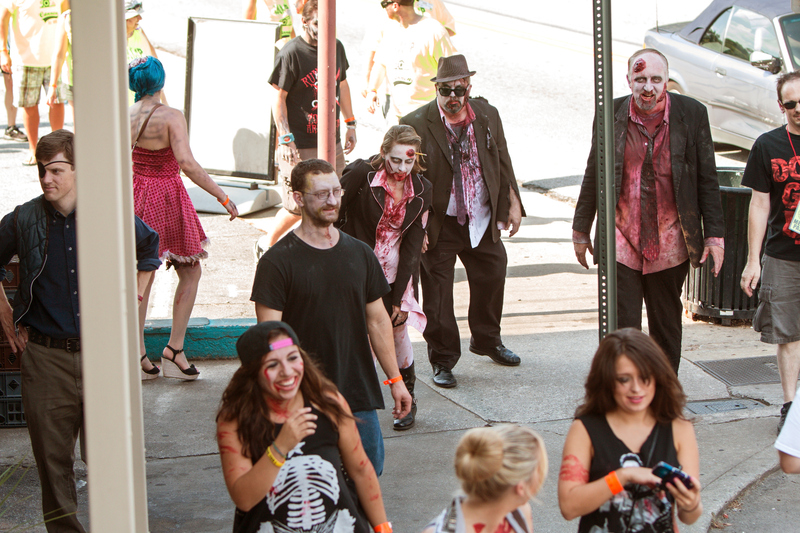 Zombies shuffle into participating pubs, restaurants & shops for specially priced drinks to slake the thirst of the recently reanimated, assembling to participate in a Thriller Flashmob in front of the Bankhead Theater at 8:45 p.m. Get your tickets early! This event sells out! The Lion’s Club of Livermore sponsors this annual early Holiday Boutique taking place all day November 5 at the Bothwell. This is a great opportunity to shop for locally handmade, unique items! Calling all Early Birds! This is your chance wear your pajamas to shop Downtown Livermore. Art and fine handcrafts are for sale in the lobby of the Bankhead Theater Gallery on Saturday, November 19 from 7 am – 11 am, as part of Livermore Downtown, Inc.’s Annual Earlier Than the Bird Event! Shop for unique and original hand made items made by Tri-Valley artists for a one-of-a-kind twist to your holiday gift giving. Meet the artists, watch some demonstrations, and find that special something among jewelry, fabric art, photography, and original artwork including acrylic, pottery, glass art and more. Sponsored by the Livermore Performing Arts Center: Bankhead and the Bothwell. For seven years, the Bothwell Arts Center has welcomed the Annual Celtic Christmas Concert and Gathering, a celebration filled with music, food and laughter. The event is produced by Gabe Duffin, a folksinger from Belfast, Northern Ireland. Duffin’s band, “Pog Mo Thoin,” employs talented musicians from around the Bay Area, with Irish Ballads, folksongs, Christmas favorites with a Celtic flair, and are known for mischievously breaking into a Pink Floyd number upon occasion. The family-friendly celebration has become a local tradition, an opportunity to meet and mingle with friends both old and new before the holiday whirl begins. 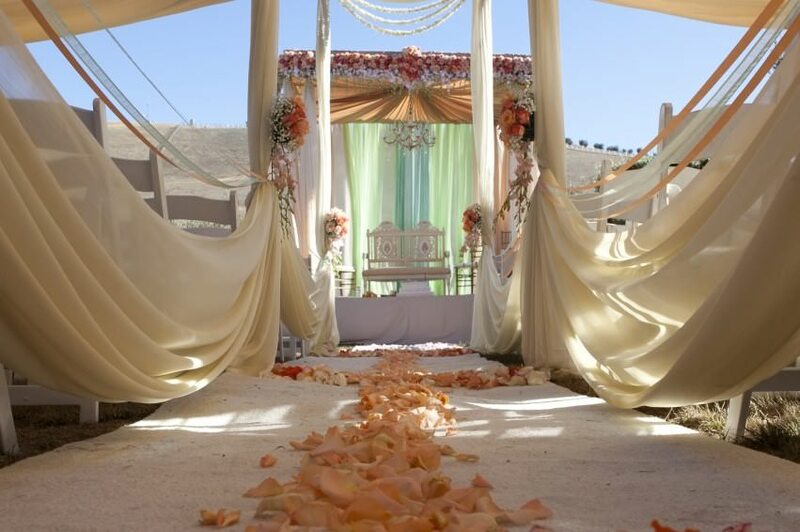 Guests are encouraged to share a potluck dish of their choice and, in the past, buffet items have ranged anywhere from traditional beef stew to a platter of McDonald’s cheeseburgers or fancy holiday treats. Cider and tea are offered for free, and wine, beer and Irish whiskey is available for purchase. Duffin conceived of the Celtic Christmas Concert and Gathering as a fundraiser for the Bothwell Arts Center, and for seven years it has helped them continue to support the arts by providing artists, musicians, performers and creatives with affordable space to learn, teach and create. 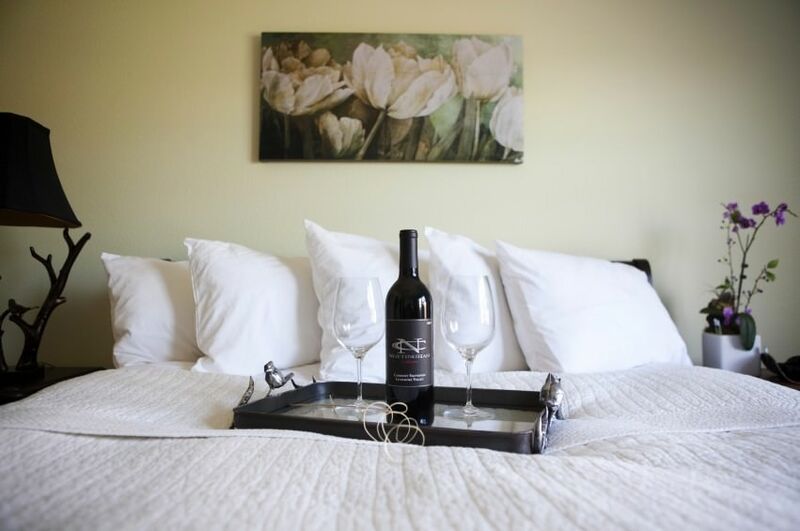 Why not indulge in a pre-holiday-season weekend getaway at The Purple Orchid? 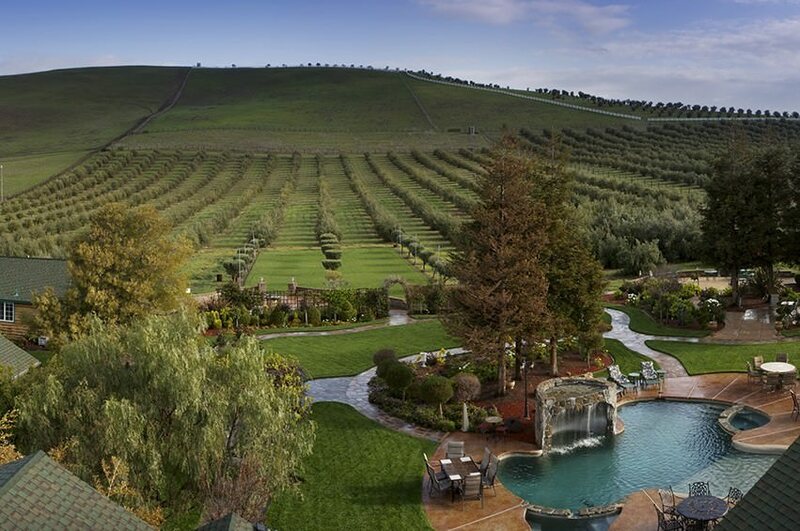 Relax with our spa treatments, and enjoy the stunning Livermore Valley. Make the most of your time in Livermore with our free area vacation guide.